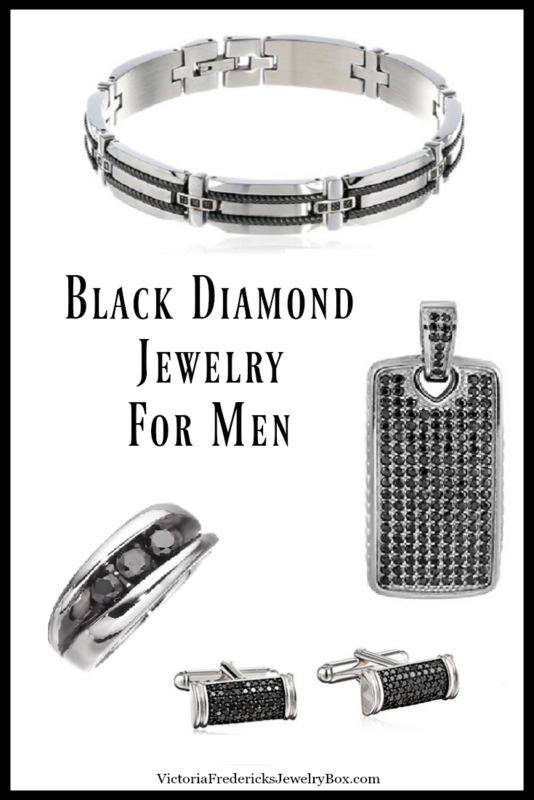 When it comes to diamonds, men don’t mind their own bit of sparkle, and black diamond jewelry is perfect. Take a scroll through this collection of jewelry for men. Included here you’ll find some great black diamonds set in rings, along with earrings, bracelets and cuff links all for male tastes . There are a range of prices too, starting from only a few dollars to thousands of dollars, so there is something to suit every taste and every budget. If you would like to treat the man in your life to diamonds, all you have to do is pick out your favorite from this collection and see his eyes light up when he opens his gift. 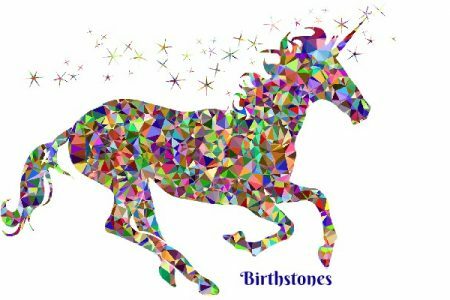 This is online shopping made easy, so I hope you enjoy it and find exactly what you are looking for. Diamond rings are favorite buys for men who love diamonds. Several men have started wearing wedding rings with black diamonds. The black diamond itself tends to have a masculine appearance and definite appeal. Where men shy away from other gems of color, the black diamond is actually desired. The simple band ring does not have to be used as wedding ring. When worn on the right hand, it is simply a stylish ring. For men who are not looking for the wedding band style, I have included this beautiful ring. There are 66 stones in this men’s ring with a total gem weight of 0.5 carats set in sterling silver. These diamonds have been treated to enhance their appearance. Since the ring is sterling silver, it is lighter weight than a lot of rings made for men. Plus, the price is much more affordable. This ring definitely offers the opportunity to wear black diamonds without spending a fortune. 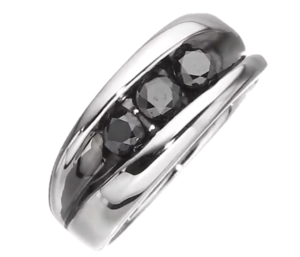 This is easily one of the most popular choices in black diamond rings for men. Bracelets are not exclusive to women. As a matter of fact, these bracelets were designed for men. Both bracelets are made of stainless steel and have very masculine details in their design. Each bracelet sports gorgeous black diamonds. There are several benefits to stainless steel. It will not tarnish and can withstand exposure to moisture. Since it is not made with nickel, those who suffer with metal allergies can wear either of these bracelets. Stainless steel is also a tough material that can stand a lot of wear and tear. This men’s pendant is one of a series of alphabet initial letter pendants available. Coated sterling silver and black diamond accents form the letter L in this cute men’s pendant necklace. Nine little diamonds are used in this instance, and the pendant comes on a 20-inch chain. Just click this link to visit and find the right initial pendant for your man. Cuff links have long been some of the best gift ideas for men for any occasion. Black diamond encrusted cuff links are simply stunning. These cuff links would be totally appropriate for daytime office wear or evening party wear. These cuff links would also be a lovely gift for a bride to give to her father or groom to wear for the wedding. Afterwards, they will serve as a memento of the wedding day. You can also find a selection of black diamond stud earrings right here in our jewelry box. They can been worn by both men and women. What outstanding jewelry pieces for men! These are such beautiful gift ideas. My conservative eye really likes the cuff links featured above.